This project consisted of a 23 foot tall building that is 4000 square feet in size. 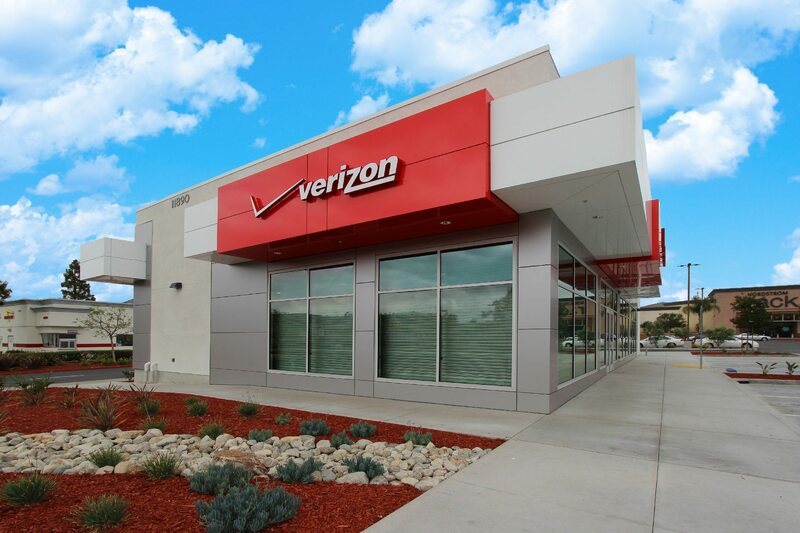 It now features a Verizon Wireless store, located in Carmel Mountain, San Diego. Its trim consists of majestic aluminum storefront with glazed windows and a stucco finish; two fully furnished bathrooms and an electrical room for the switchgear. Site improvements entail concrete sidewalks encompassing the building, concrete parking stalls, landscape improvements and a trash enclosure.